Soška Batwoman vytvořená podle komiksové předlohy the DC Comic TV Gallery line vycházející z tvorby Ceasar a Jean St. Jean je vysoká cca 23 cm s detailním zpracováním. The newest heroine on the CW is none other than Batwoman! 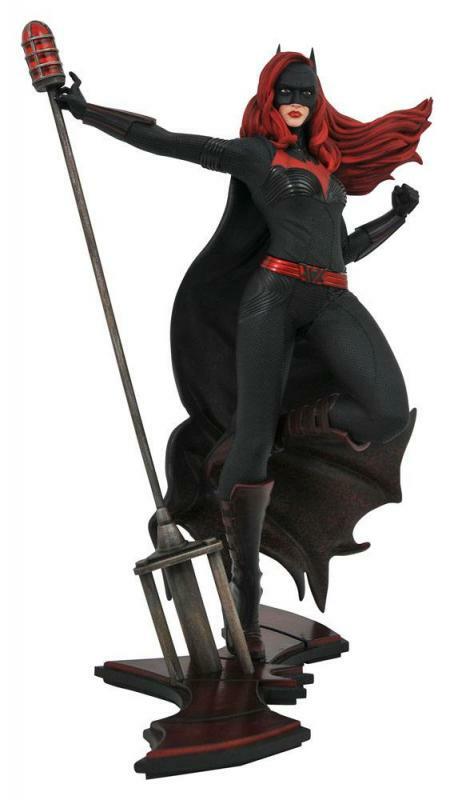 Based on her appearance in the Arrowverse crossover, this PVC diorama of Batwoman hanging from a radio antenna bears the likeness of actress Ruby Rose and is made of high-grade plastic. This approximately 9-inch sculpture features detailed sculpting and paint applications and comes packaged in a full-color window box. Designed by Shawn Knapp, sculpted by Cortes Studios!